Let the countdown 'til Christmas continue with DAY 9! 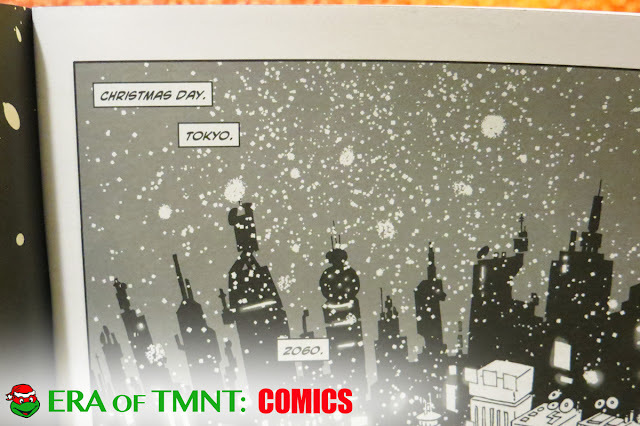 A TMNT Christmas comic book! Here's the synopsis: 'Silent Knight.' On Christmas, 2060, a forlorn Raphael makes his way through the dank sewers of Tokyo and finds an abandoned baby. What should be a simple trip to the local hospital turns into a deadly gauntlet as Raphael and the child are attacked by The Foot Clan! All-out ninja action issue! With its snowy setting, the cover builds up a lot of holiday promise. Can 'Silent Knight' deliver the Christmas spirit? Tales of the TMNT is a series that intrigued me since it begin in 2004. Among fans, it has a reputation for being quite good and even lured many skeptics back after a number of bad TMNT incarnations (looking at you Next Mutation). With its dark tone and gritty story lines, Tales of TMNT was a far cry from the 80s cartoon and closer to the original Mirage comics. Issue #40 of the series, 'Silent Knight,' was released in November of 2007 - just in time for Thanksgiving. 8 years later, I'm finally reading it for the first time. 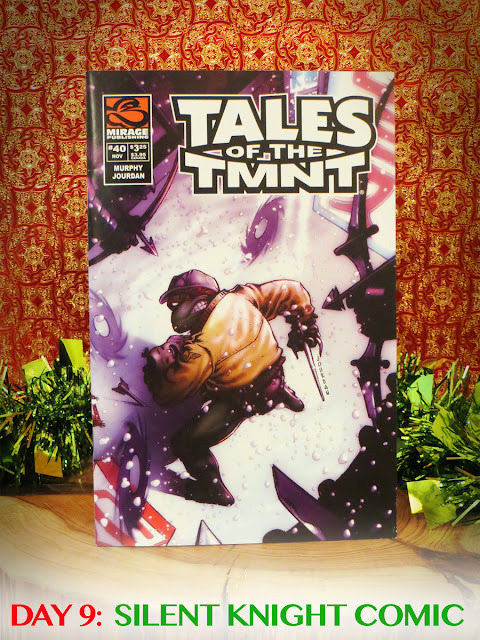 Does Tales of TMNT 'Silent Knight' make a good gift? While I appreciate the edgier approach to the series, 'Silent Knight' makes for a lousy Christmas tale. It's downright depressing at times. Despite taking place on Christmas Day, the unrewarding story spreads no holiday cheer. The majority of pages are filled with images of Raphael on the losing side of an attack. It's still worth a read, but not during a season of loaded with goodwill. 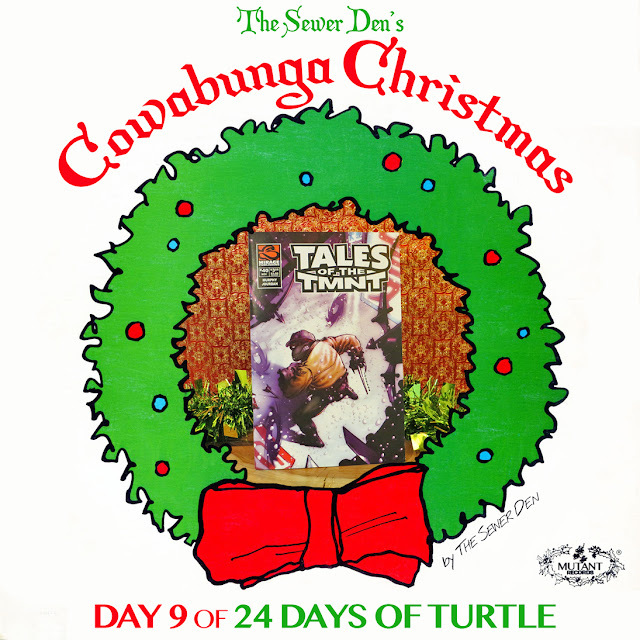 Check back tomorrow for DAY 10 of Cowabunga Christmas! Can't wait until then? Take a trip with the Ghost from Christmas Past to see what The Sewer Den put on display on December 9th in 2013 and 2014.